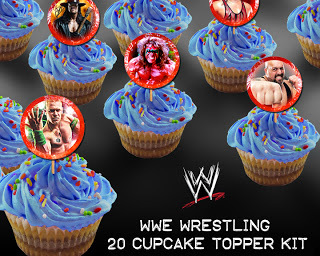 Quirky Artist Loft: Free WWE Cupcake Toppers! These are really easy to make yourself with some cardstock paper or photo paper (for your printer), a glue stick and a tooth pick. I spent a good amount of time choosing the perfect photos for this set. There are 20 different guys in this pack.